Raynes Park Residents Lawn Tennis Club – A friendly tennis club in SW20. New members welcome! It's a long weekend and the weather forecast is for fantastic tennis weather! To celebrate the good weather and long weekend, we'll be having afternoon tea during Social Tennis on Saturday. Bring a cake or other sweat treat to share, and perhaps even a G&T for rehydration! One of our members will also be lighting the barbecue around 3pm so feel free to bring something along to cook if you prefer something savoury to recharge after tennis! Social tennis gets going about 1:30pm, and runs for as long as players wish to keep playing. We hope to see you there. Whether you are an experienced player looking for a friendly club experience, a "rusty racquet" wishing to return to the sport or a complete beginner, our club has something for you! To showcase our new and modern facilities, we are hosting an Open Afternoon on Saturday 11th May. Our fantastic coaching team will be offering some free coaching sessions, including the brand new fun way to keep fit with a tennis racquet, cardio tennis and a taster of our monthly Coach-led Social Tennis. You can also try out the courts by playing a few games with your friends, or adults can play some social sets with our friendly and welcoming existing members. Secure your place by signing up online. If you enjoy yourself you will definitely want to take advantage of our amazing value membership so don't forget to bring your cheque book to secure some special one-day only deals on coaching. If you are unable to make it on the day then please do drop by the club during one of our club tennis sessions for a free trial. We had a lovely time at our Open Day last weekend. Here's a short video of people having fun warming up for cardio tennis! Don't worry if you missed out, bring your racquet along any dry Saturday or Sunday about 2pm and join us for some club social tennis! Here's a short clip of some of the fun we had at our last Open Day! We had perfect conditions for our Quorn Cup tournament on Saturday! 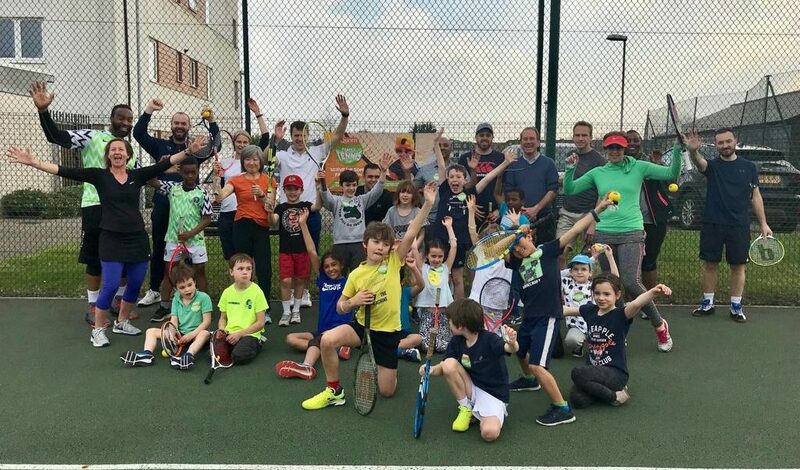 This is a parent-child doubles format played on the red-ball courts, and it was great to see 15 pairs enter for a fun-filled and relaxed afternoon of tennis. The clocks are about to "spring forward" on Sunday bringing longer evenings, perfect for a relaxed game of social tennis. To celebrate the more favourable tennis conditions and start of the tennis year, we are celebrating with a special edition of our usual Wednesday social tennis session. Social tennis will start at the earlier time of 6:30pm and continue until the floodlight curfew at 9:30pm. Balls and floodlights will be provided as usual, plus light refreshments and drinks to power you through the evening of tennis after a long day at work. To give us an idea of how many to cater for, please sign up in the clubhouse. There’s still time to sign up for our U10 & Adult Doubles competition this coming Saturday! 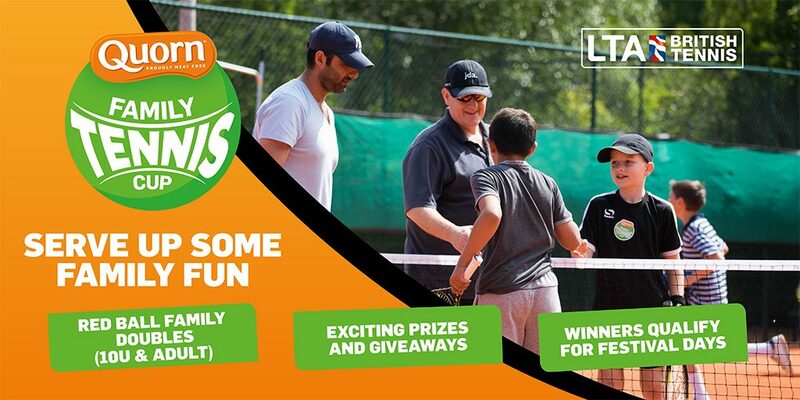 The Quorn Cup is a fun family red ball tournament on mini courts from 1.30-3.30pm. Low key and fun. Sign up online for only £5 per pair. Membership for 2019/2020 is now open! Existing members should have received their renewal notice via email this week. New members signing up before the end of March are invited to come along and enjoy an extra few weeks of bonus membership for free. If you have any questions our friendly membership secretary will be happy to answer them. Thank you to everyone who braved the blustery winds to attend our AGM on 10th March. It was great to see so many of you playing at the social session before hand, proving that our members are definitely not fair-weather tennis players! Wednesday 3rd April: Summer Time Snacks and Social Tennis – celebrate the lighter evenings with a special extended edition of Wednesday night social tennis. Come along from 6:30pm to join in some convivial sets of doubles, and socialise with your fellow members with some snacks and refreshments. All standards and abilities welcome. Introduce your children to tennis! We are very pleased to once again be able to offer the LTA's Tennis for Kids course for 5 to 8 year olds. 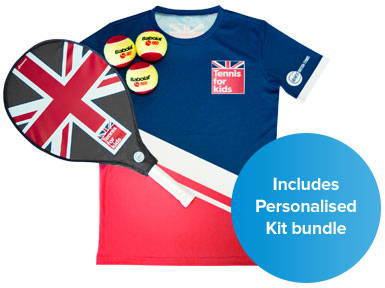 For just £25 every child will receive 6 high-quality lessons, developed by experts at the LTA, as well as a special Tennis For Kids Babolat racket, ball set, and personalised T-shirt delivered right to their door. The course will run on 4-5pm on Tuesdays from 23rd April. Places are limited so sign up online today! Coach-led social will be 8 days later than usual in March to coincide with the Club's Annual General Meeting (AGM) on Sunday 10th March. José will kick off coach-led social at 1.30pm, and then the AGM will follow at 3pm. 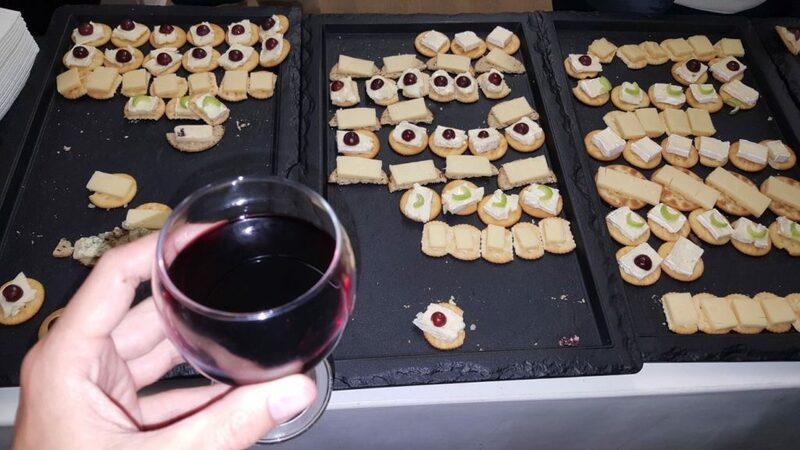 Refreshments of cheese and wine (and alternative drinks) will be available to make it an enjoyable social occasion. The AGM generally lasts for about 45 minutes. It gives you the opportunity to hear what has been happening at the club in the last 12 months, and how your subscription money has been spent! You will also find out what is planned for the next year, you can ask questions of the Committee members, and get to know your fellow members over a glass of wine or beer. Nominations should be proposed by two other Members and posted into the suggestions box in the clubhouse by 17th February. If you wish to put forward a formal proposition to be discussed at the meeting, then please find a seconder who is willing to support your proposition. The proposed motion along with your name and the name of the seconder should then be received by the Secretary no later than 17th February. Saturday 17th November: Wine Tasting Social! Sign up in the clubhouse by 2nd November. Saturday 1st December: American Social tournament at Wilton LTC, 2-6pm. Sign up in the clubhouse by 21st November. Saturday 8th December: Coach-led Social (a week later than usual due to the American tournament with Wilton). Saturday 29th December: American Social tournament at 1pm. Monday 31st December: last date to play matches in the current round of the Singles Box League, and the first round of the Winter Doubles tournaments. Saturday 12th January & Saturday 2nd February: Coach-led Social. Friday 22nd February: opt-in to the Wimbledon ballot closes. Sunday 10th March: Annual General Meeting (AGM). Saturday 7th September: Finals Day (with the Sunday as backup in the event of bad weather). Opt-in for the Wimbledon tickets ballot is also now open! To qualify for a chance to buy tickets for next year's Championships at the AELTC you need to login to the LTA members area and select the Wimbledon Ballot option. Even if you did this last year you must do it again this year to qualify. Juniors aged 11 years and over are also eligible but each one must be opted-in individually. Not an LTA member? As a member of an affiliated venue you can join for free. The LTA make the paid-for option far more prominent than the free one so make sure you select "Lite Membership" [sic] and say "Yes" to being a member of an LTA Registered Venue. We encourage everyone to opt-in because the Club's allocation of tickets to distribute via ballot is based on the number of opt-ins by affiliated members!